Free Screening of New Movie at Cal State Northridge! If you missed the premiere of Jelynn's latest movie, How to Make Love to a Woman at the United Film Festival last week, here is another chance to see the movie, for free! 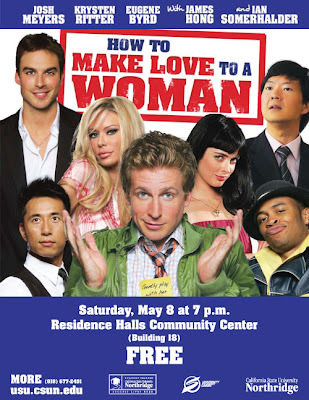 California State University, Northridge is showing the movie for free this upcoming Saturday, May 8th at 7pm. Again, the screening is FREE and is located on the Northridge campus, Building 18 of the Residence Halls Community Center.